My custom login screen wallpaper is gone. When you click on a user's name in the login screen, it switches to their personal background (their usual wallpaper for the first space on the primary monitor). I assumed it had just overwritten my cached image file. But when I went to replace it, nothing happened. It turns out that com.apple.desktop.admin.png is gone entirely! Right after taking that screenshot, I decided to poke into Desktop Pictures and found my personal login screen background, which looks promising. It contains one other folder, which probably (edit: confirmed) contains the login screen background of my administrator account. 2) Find the file called "Mojave.heic"
You can do this by replacing the Mojave.heic default desktop background. This does not require disabling SIP, as it's in /Library. Back up /Library/Desktop Pictures/Mojave.heic by copying it to Mojave.heic.orig or similar. Get your new image and scale/crop it to exactly fit the display. If you don't know your screen resolution, you can go to  > About This Mac. If you have FileVault enabled, change a login option in System Preferences. For example, whether to show a list of users or name and password fields. Just change it back if you don't actually want it changed. This is because when you boot with FileVault, at the login screen your system hasn't really booted up all the way! It's actually running a tiny system on your EFI partition, since your main partition is encrypted. Changing a login option will make System Preferences change the EFI system's settings, including picking up the wallpaper change. See this answer. * I've only tested this with JPEG images, but it may work for other types. 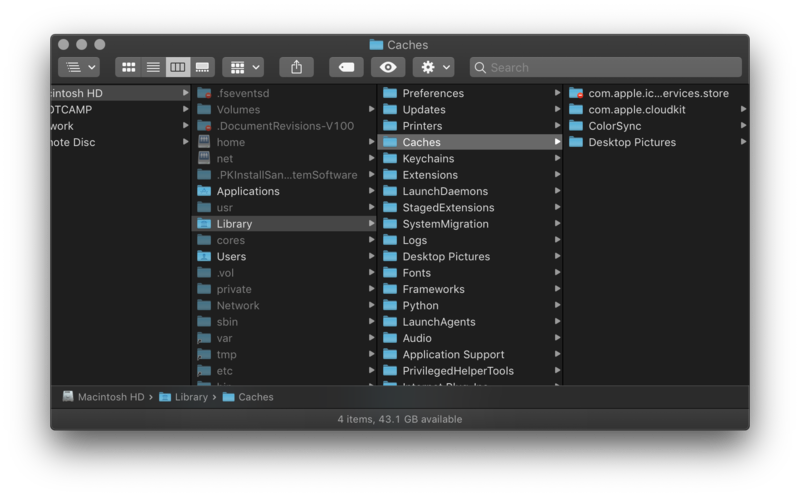 I've made a small Swift program that does all this for you (it detects the OS version and works both on Mojave and earlier versions). You'll need Xcode to compile it. It shouldn't break your system, but I can't guarantee anything -- make sure you have backups first! This is now also available on GitHub. It may or may not be updated here in the future. It needs to be run as root, as it saves to /Library/Desktop Pictures. let targetFile = "/Library/Desktop Pictures/Mojave.heic"
let origFile =  "/Library/Desktop Pictures/Mojave.heic.orig"
let imageData = newImage.representation(using: .jpeg, properties: [:])! let pngData = newImage.representation(using: .png, properties: [:])! // For more information, please refer to <https://unlicense.org/>. Not the answer you're looking for? Browse other questions tagged login-screen mojave wallpaper . How do I change the login screen background in macOS Mojave 10.14.2? How can I customize the background of the FileVault login screen in 10.8? How do I change my personal login on macOS Mojave?